Actual patient. Individual results may vary and are not guaranteed. *At the Virginia Institute of Plastic Surgery, with offices in Richmond and Tyson’s Corner, Virginia, the highly-skilled team of Board Certified plastic surgeons Dr. Burton Sundin and Dr. Reps Burton will speak with you about your aesthetic goals and desired outcomes. 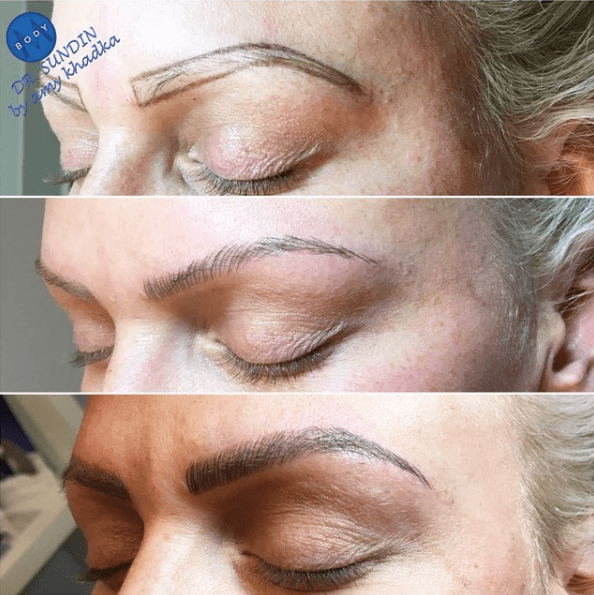 If you are interested in semi-permanent eyebrow sculpting using microblading, or would like more information on any of our surgical or non-surgical rejuvenation procedures, we encourage you to contact the Virginia Institute of Plastic Surgery to schedule an appointment today. We look forward to hearing from you!